The cryptocurrency boom in the past 2 years has resulted in an explosion of interest in blockchain technology that has captured the attention of entities across a wide range of industries. As the initial stigma of money-grabbing that has stained the market wears off, these entities have come to realize that the underlying technology is mostly about automation and removing intermediaries — 2 ideas that can apply to any type of vertical. Among the many industry revolutions that blockchain is poised to facilitate, the supply chain and general logistics industry stands as one with that could experience the most impact. This is because the industry is fraught with outdated systems and is deeply paper-based. It has been said that innovations often come from the most humdrum of origins, and the use of blockchain in the supply chain fits this pattern. The supply chain, the lifeblood of the world’s economy, is responsible for the rapid globalization that has occurred in the past few years. 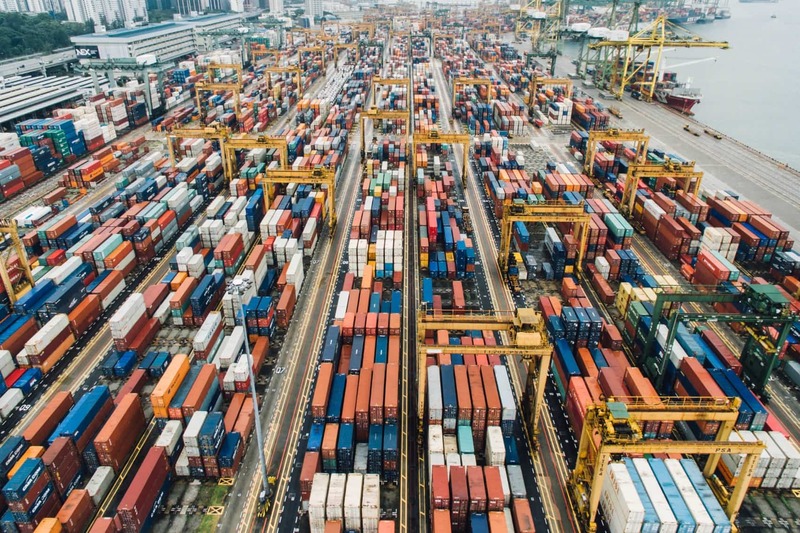 As standardized shipping containers replaced crates and sacks, the capacity for import and export increased significantly, boosting national economies and allowing for a more reliable, cohesive, and efficient way for countries to form partnerships around the world. Blockchain is the next step in that process — doing what shipping containers did to the industry, and then some. The supply chain is currently disparate, with different stakeholders following different standards, besides being plagued with several other problems. Blockchain, by creating a single, immutable platform with smart contracts, can sweep away these issues and radically improve an industry that almost every other industry relies on. Supply chains — note, in the plural — sans blockchain take the shape of separate processing streams, and the jump from one source to another is one that incurs a lot of effort and delay. Even with current-day benefits of the internet and RFIDs, the industry remains largely paper-based. Documents must be signed physically by the corresponding official before they can be processed forward, and must be logged into a computer manually for updates on location and condition. Oftentimes, this data can be inaccessible, or at least troublesome to access and update, to intermediaries along the supply chain. The loss of a single paper among hundreds can mean the delay of goods worth hundreds of thousands of dollars. The paperwork and processes vital to global trade are also one of its biggest burdens. 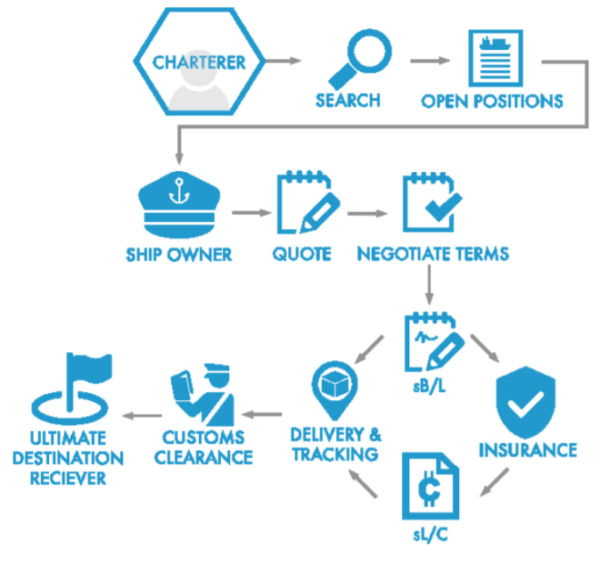 The paper trail research that Maersk did uncovered the extent of the burden that documents and processes inflict on trade and the consequences. With a blockchain ledger that facilitates the automatic logging of shipments with unforgeable electronic signatures, these issues can be eliminated in one fell swoop. The first step is always the biggest, and there are blockchain projects that are navigating the complexities of the supply chain industry with finesse, fully aware of the long iterative process of upgrading a sector that is both wide and deep. Here, we take a closer look at some of the top blockchain projects that are looking for transform trade and transport. 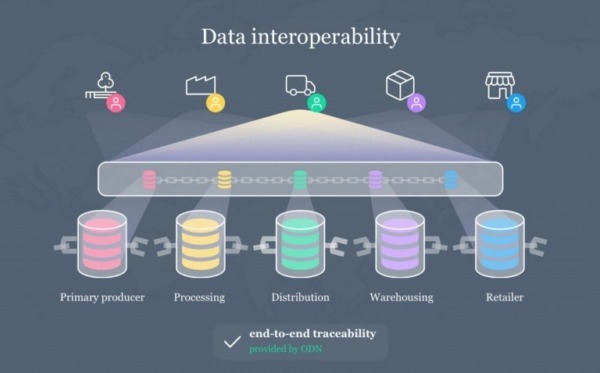 The OriginTrail project is tackling the higher-level problem of interoperability between supply chain blockchains. It is a data exchange protocol for different supply chains that allows them to share data and communicate with each other. The existence of several different supply chains means that data is heavily fragmented, and that makes efficient cooperation between disparate ecosystems problematic. The OriginTrail Decentralized Network (ODN) is designed for multi-organizational environments, which allows multiple entities to communicate with each other through one supply chain protocol. The OriginTrail team views food shipments as just one of many applications of blockchain technology, and have already successfully executed several efforts towards this. By attaching sensors with QR codes to food shipments, consumers can learn key information such as the source of the produce, where it has passed through in its shipment journey, and the chances of the consumable having spoilt. OriginTrail has also conducted a pilot with Chinese organic food marketplace Yimishiji that showcases product visibility throughout the entire supply chain. The pilot demonstrates the enhanced transparency made possible by a decentralized ledger, and partners along the Yimishiji supply chain can securely communicate data with each other. Similarly, they have also established tracing solutions for Celeia, Natureta, and Perutnina — dairy, vegetable, and poultry producers respectively. For each of these producers, OriginTrail has given businesses and customers evidence of how the produce is authentic, right from the initial choice of raw materials to semi-finished states along the production line, and their final state. Although the food vertical has seen several developments, OriginTrail has also charted out several use cases across other verticals and believes that the protocol is equally applicable to other supply chains. They have integrated their solution with IoT platforms like EVRYTHNG, to support traceability for consumer product brands, and TagItSmart for the verification of the authenticity of premium wines exported to the Chinese market. The supply chain possibilities go beyond just consumables, as almost every facet of modern life is somehow touched by global supply chains. One interesting use case in OriginTrail’s sights is laboratory data and reports. This speaks to OriginTrail’s goal of tackling the higher-level problems in the industry. Much of the food and ingredient supply must run through laboratories for quality checks. This is an important step in verifying authenticity, as laboratories take on the responsibility of ensuring products like honey, which are prone to counterfeiting. The OriginTrail protocol is taking care of the data footprint whereas the laboratories are specialized in forensic level tests that are relevant to the actual food. A great way to showcase how complementary technologies can work together to verify authenticity, origin and the safety of products. OriginTrail has also created the TRACE Alliance, a non-profit collection of businesses, public sector entities, tech companies, and others, with the goal of creating viable solutions for the supply chain industry through OriginTrail’s platform. This is line with OriginTrail’s stated belief that it is not a company, but an ecosystem. Existing members include Deloitte, Gijima, Trust Provenance, and several more. Without a doubt, the key selling point of OriginTrail is its interoperability-focused protocol, which improves upon existing GS1 standards. The common data standards ensure that data integrity and quality is maintained. Modularity and extensibility is also built into the framework, meaning that stakeholders can modify and append new uses according to specific industry needs or applications. Another notable point about the project is that other similar projects in the space do not approach the transport and trade issue in as a wide scope as OriginTrail does. It is worth reading OriginTrail’s whitepaper to get a deeper understanding of the technical solutions for their goal of creating one platform for all supply chains. 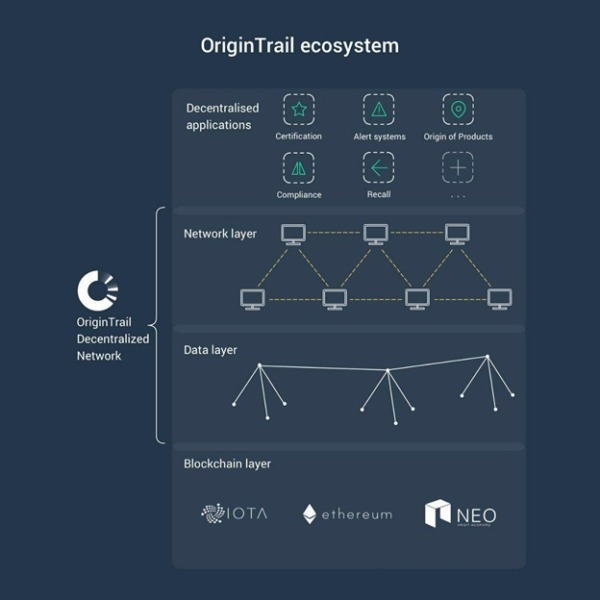 If they manage to get the right technical architecture in place, OriginTrail could very well link thousands of businesses in dozens of countries that operate through different supply chains — and if they can get these existing businesses to integrate blockchain, the chances of them becoming a global presence is very real. Waltonchain, a project with fervent support from its community, targets the trade and transport niche with a specific focus on using RFID chips and hardware to help track a wide range of products like clothing and electronic components. Indeed, Waltonchain has chosen the clothing industry as the first test for its platform, as part of Phase 1.0 of their release. The clothing industry already makes use of RFID tags, which gives the team an enormous amount of data to work with. Besides that, Waltonchain’s team members have extensive experience in the clothing industry. The project has already teamed up with industry partners in China, and the development will act as a proving ground for Waltonchain’s combination of distributed ledgers and RFIDs, allowing them to refine it before they move onto other industries. The use of RFIDs is significant. With the way the Internet of Things industry is growing, and the application it has in establishing machine-to-machine communication, Waltonchain has smartly decided to approach the supply chain problem as an IoT problem. RFIDs, which have failed to meet the hype built over the past few years, may actually take off as it and other tags integrate with blockchain to create a network of shipments and stakeholders — all the way down to the customer — that bring human interaction to a minimum, and give relevant personnel important data through the use of sensors. 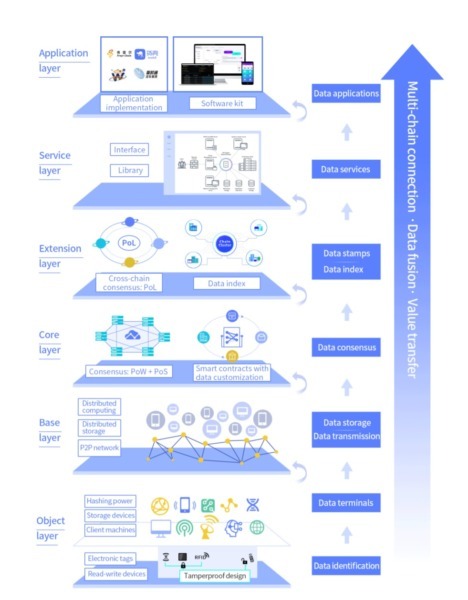 [promoting] the connections between machine and machine, human and machine and achieves the full life cycle circulation management of data in the information world. Waltonchain also has a tight focus on developing smart cities, and has won an award for a smart waste management program. This takes the project beyond the impression that they are just a retail-focused project. Waltonchain’s proprietary systems use smart watches, low-power devices, and sensors to create a better-connected sanitation system that makes waste management more efficient. Waltonchain is also working closely with the Chinese government, which in recent times has opened up to cryptocurrencies. This is an encouraging development for the project, solidifying investor interest in the project. Waltonchain could very well take over this niche on the national level, before expanding globally from there. VeChain, like Waltonchain, is situated in Asia and is popular in crypto circles. Its focus leans towards the luxury goods industry, and it has already established some connections in tobacco, liquor, and agriculture. All of these sectors are large revenue generators in China, giving VeChain the opportunity to cement market share in the world’s second fastest-growing economy. The VeChain platform, which is said to be able to process up to 10,000 transactions per second, gives VeChain an edge over platforms in this niche, which must also deliver comparable performance to function as a reliable platform for global shipping. VeChain’s successful mainnet launch lends some credence to transactional processing capability of the platform. VeChain also produces RFID chips, made in-house, and are considering several upgrades to the sensors that would strengthen its application in logistics, including a thermometer. Such features would be especially useful for goods like wines and other consumables, which are subject to environmental damage. This could give the customer and retailers information about the quality of the final product. VeChain has also landed multiple partnerships, including those with the Chinese government, China Unicom, supply chain giants Kuehne + Nagel, DNV GL, and PwC. Those are all major names within their respective industries, and gives VeChain an impressive network of players that they can rely on for expertise. Similar to Waltonchain, VeChain’s long-term potential will lie on its ability to onboard partners and refine its platform. Again, given that they are essentially providing the same kind of service, the need for a unified platform that allows multiple platforms to cooperate, and not compete, is imperative. VeChain, with its close ties with the Chinese government and focus on luxury goods, can cooperate with Waltonchain, which can focus on other industries. As decentralization systems are slowly refined and designed with interoperability in mind, the existence of multiple products becomes a boon, not a detriment. CargoCoin, plainly describing its intent as “blockchaining logistics,” is one of the newer entrants in the space, with its ICO ending on December 31, 2018. CargoCoin also has a more general agenda for the supply chain industry, specifically wanting to replace its paper-processing systems with smart contracts and escrow payments to ensure efficiency and security in the shipment of goods. CargoCoin’s plan for blockchain logistics extends to all layers of transport and trade, including inland transportation, air cargo, pipeline transport and the inter and outer city shared lines. The team will spend Q3 and Q4 of 2018 developing a global shipping platform and a mobile application; smart contracts are expected in Q1 2019, with the platform’s launch expected in the quarter after that. The platform will undergo a phased launch, beginning with the shipping platform that will connect shippers, freight forwarders, importers, and exporters. This will be followed by the inland platform that brings road and rail entities into the picture. Next will be the cargo all-purpose phase, which is essentially the construction of a marketplace where the different stakeholders can select the partners they want to work with and build lasting shipping relationships, while also allowing them to showcase their products to customers directly. CargoCoin will not a charge a fee for the use of its platform. They hope that this, combined with their various services, will attract as many users as possible to the platform. This idea adds greatly to CargoCoin’s potential. It is well known that cryptocurrencies payments are much faster than their fiat counterparts — and there is a great deal of money that flows between entities on the supply chain. The CargoCoin platform places a heavy emphasis on using smart contracts for most of the processes in the supply chain flow, including a Letter of Credit and Bill of Lading. Using a digitalized version of these documents improves in almost every which way upon traditional paper methods. Furthermore, by using smart contracts and creating a marketplace that can help build trust between partners, CargoCoin’s platform can eliminate much of the indecision and difficulty in finding suitable logistics partners for companies. For example, it creates a mechanism by which one entity can measure the efficiency of using one shipping partner — all with minimal human interaction. There is little doubt that blockchain will be implemented in the supply chain sector. The real question is when, and how these different solutions will work together. In truth, as is the case with most projects operating in the same industry, the differences in benefits between the platforms are minimal. That said, trade and transport is a massive industry, and it’s clear that each project has selected to focus on specific areas within it. Given how different projects have different applications, it’s a probable scenario that we’ll eventually see a few thriving blockchain projects that successfully carve out a niche of operations for themselves. It’s likely that we’ll see the evolution of the supply chain in the same way we see blockchain evolve more generally. Over time, there has been a general acceptance of digital currencies, and of decentralized systems in the financial sector, with enterprises and regulatory bodies slowly warming up to an innovation with implications that are unprecedented. We predict the same will happen in the supply chain sector. It’ll be a question of when, not if. From the title I expected you would mention CargoX (CXO). They launched their Dapp last week for the different types of B/L’s last week. Compared to Cargo Coin I like CXO because they start with B/L, next will be L/C and so on. Small tangible steps. Cargo Coin is a much broader scope, so will take some time before they are there. Vechain has the partners and is the only one on this list that will really do anything. Vechain will be a monster and everyone needs to be onboard. How could you not mention Ambrosus here? Completely unrealistic. Losing credibility, Invest in Blockchain! I do not understand either.